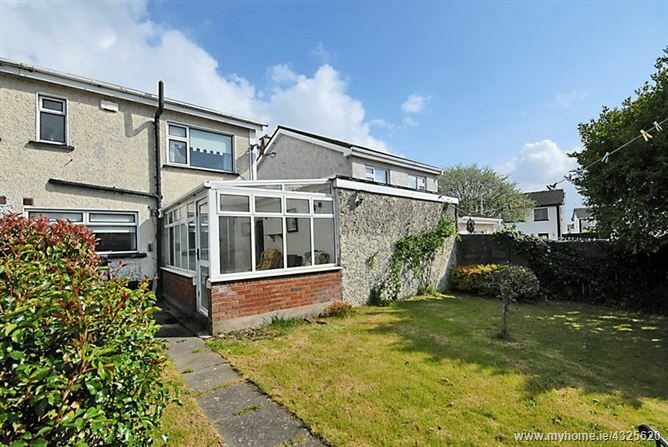 Baxter Real Estate are delighted to present to the market, this bright and spacious 3-bedroom, semi-detached family home. It occupies an area of approximately 111 sq.m/1,198 sq.ft.. On entering, you are greeted with a generous hallway, with a tiled floor. This leads to the living room, which features a semi-solid wood floor, an open fireplace with stove insert, a large picture window and a unique stained glass window to the entrance hall. 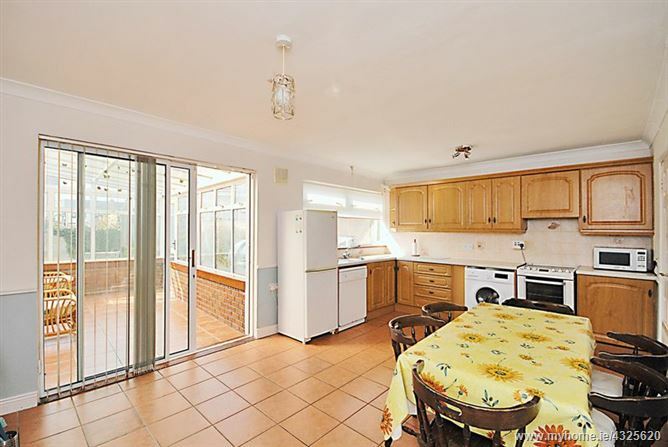 The kitchen/diner benefits from having ample units, understair storage, a tiled floor, and sliding patio doors which lead to a conservatory. 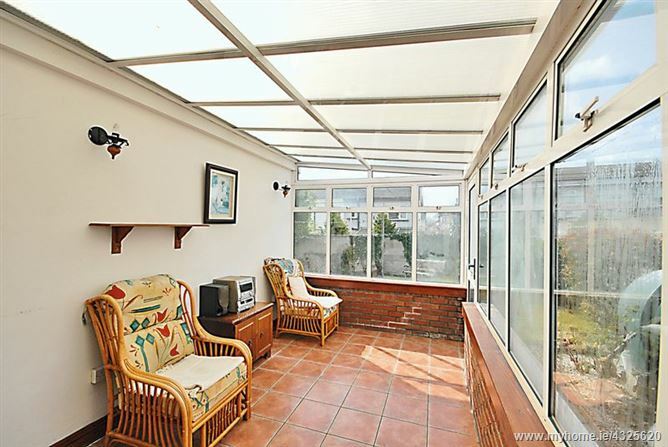 The conservatory, which also has a tiled floor, opens to a sunny, south-west facing rear garden. From the conservatory, there is also a large, concrete outbuilding to the side, which can also be accessed from the front of the house. 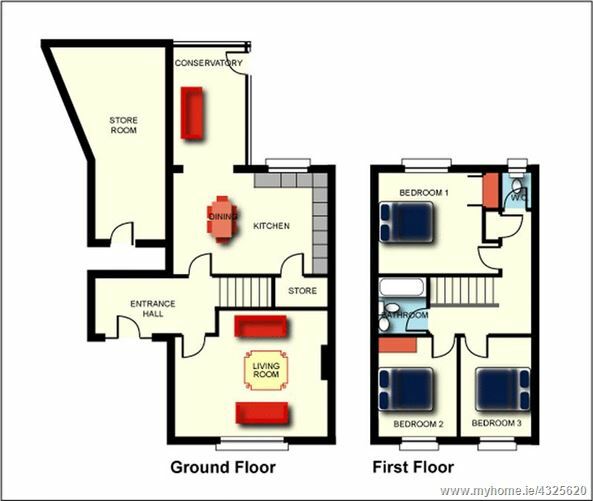 At first floor level, there are three bedrooms, all with laminate flooring. 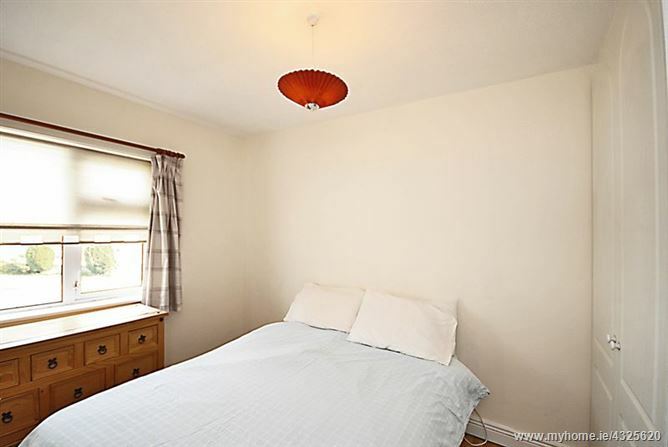 Two of the bedrooms also benefit from having built-in wardrobes. 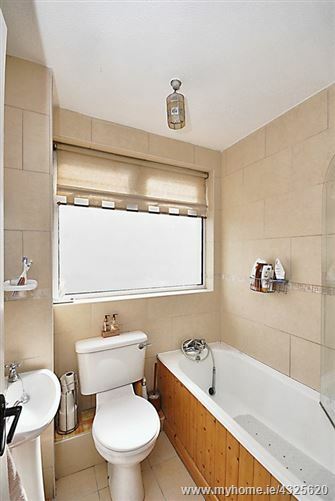 A fully-tiled family bathroom, with electric shower, serves all three bedrooms. A separate w.c. is also found at this level. 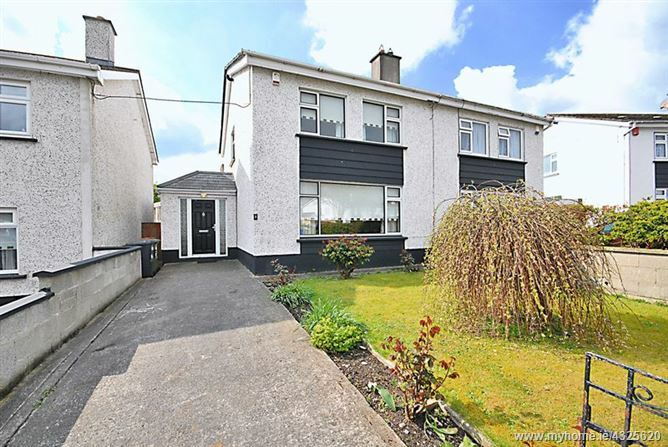 There are a wealth of amenities and facilities located close to this home, such as schools, including an Institute of Technology, and shops, such as Blanchardstown Shopping Centre. The National Aquatic Centre and various national and multi-national businesses are also located in this area. 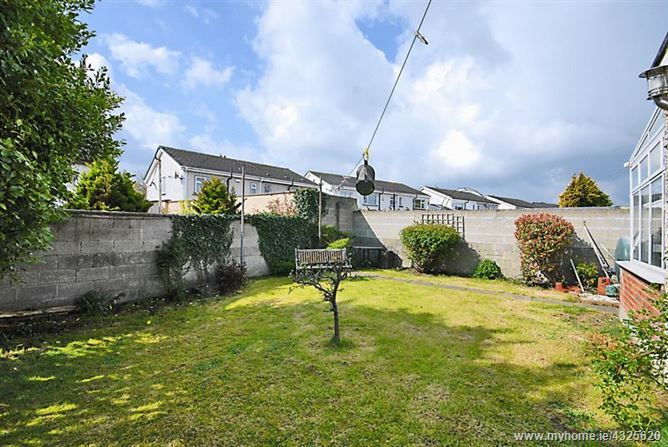 The N3, which links to the national road network, the city centre and Dublin Airport, is only a short distance away. Dublin Bus also provides a regular bus service for the area. Please note that all information, including areas, is given for guidance purposes only. We have not tested any appliances and all parties must undertake their own investigation into the condition of any appliances and to all other information provided. 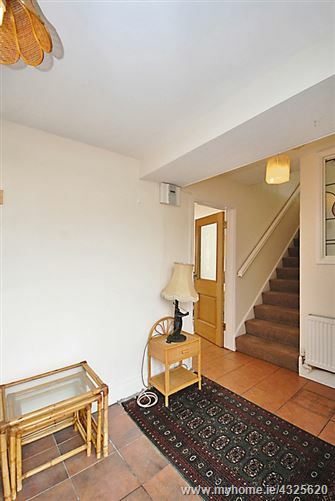 Entrance Hall - 8' 10'' x 6' 0'' (2.69m x 1.82m) - Tiled floor. 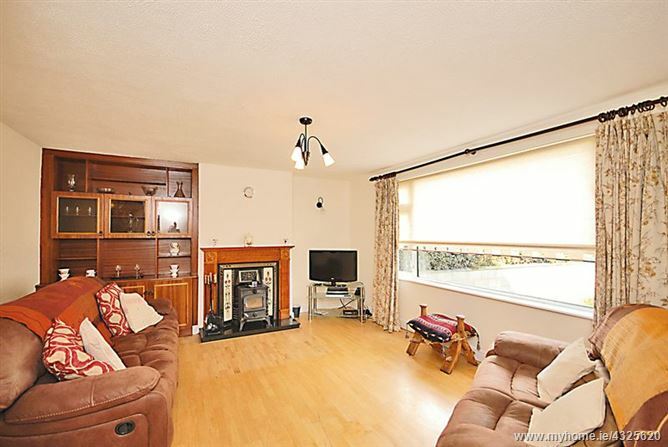 Living Room - 17' 3'' x 14' 6'' (5.27m x 4.42m) - Semi-solid wood floor, open fireplace with stove insert, large picture window and stained glass window. 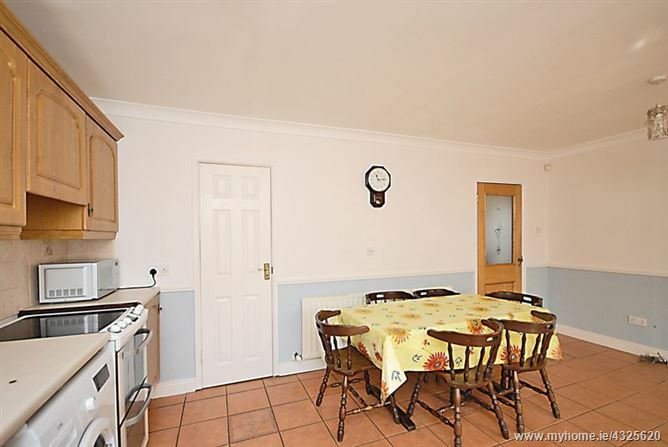 Kitchen/Diner - 17' 3'' x 11' 7'' (5.25m x 3.54m) - Tiled floor and splashback, understair storage, and sliding patio door to the conservatory. Conservatory - 13' 11'' x 8' 0'' (4.23m x 2.44m) - Tiled floor. 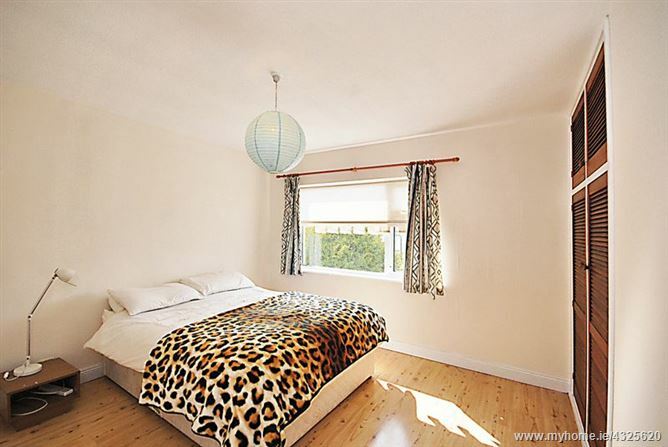 Bedroom 1 - 11' 9'' x 14' 0'' (3.59m x 4.27m) - Built-in wardrobes and a laminate floor. 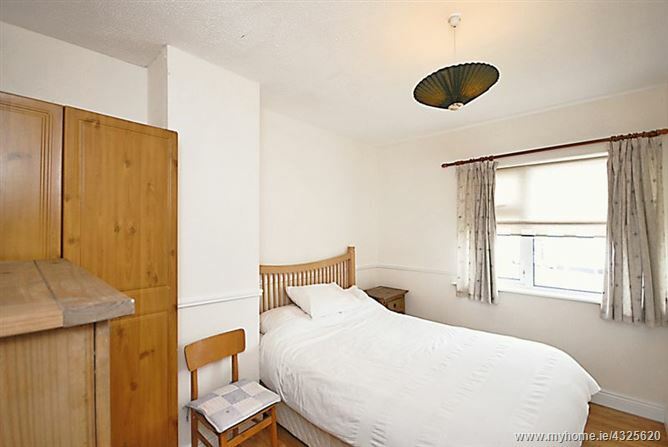 Bedroom 2 - 11' 8'' x 8' 8'' (3.55m x 2.64m) - Built-in wardrobes and a laminate floor. Bedroom 3 - 11' 8'' x 8' 4'' (3.56m x 2.53m) - Laminate floor. Family Bathroom - 5' 8'' x 5' 6'' (1.73m x 1.68m) - Fully tiled, electric shower.